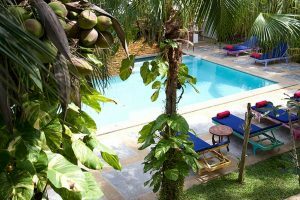 The Pure Flow Yoga Shala is located on Haad Yuan Bay on the Southeast corner of Koh Phangan. The easiest way to get here is by taxi boat or truck from Haad Rin, a major ferry port on Koh Phangan. Once you have arrived at Haad Yuan (or neighbouring Haad Thien) ask for “Bamboo Huts” bungalows & restaurant. Pure Flow Yoga is only a 2-minute walk up the hill from the restaurant. There are many options for routes to Koh Phangan. Most people fly into one of the airports in Bangkok, or to Kuala Lumpur in Malaysia. Some airlines have flights directly to Koh Samui, which is a larger nearby island, and has an airport. You will most likely need to stay in Bangkok or Samui for one night (or longer if you prefer) before traveling onwards to Koh Phangan. There is an airport – Surat Thani – on the mainland, from which you can get a boat to Koh Phangan. There is a counter at the Surat airport selling tickets for the bus to the boat, and the boat to the island. Easy! Most boats arrive to Koh Phangan at Thongsala, which is 30 minutes tuktuk ride to Had Rin where you get the boat. The easiest way to get from Bangkok to Koh Phangan is to take a plane from Bangkok to the neighboring island, Koh Samui. Bangkok Airways and Thai Airways are the only airlines that currently operate on this route. Bangkok Airways provide over 20 flights daily between Bangkok and Koh Samui and flights typically range in price from $100-$200 USD one way. Flight departures begin at 6am thru 9pm, 7 days a week and are easy to purchase on-line. Thai Airways also operates two flights per day from Bangkok to Koh Samui, at 7:45 am and 4pm. We recommend you book your flight from Bangkok to Samui ahead of time as flights are sold out quickly. You may also choose to fly into Koh Samui, Phuket, or Surat thani from other destinations with the affordable airlines, Air Asia, Nok, or Thai Lion. You can book online or ask your travel agent about connecting flights. For those of you traveling straight into Bangkok, Suvarnabhumi Airport is Bangkok’s largest airport, and Don Mueang is the smaller airport, mostly servicing the low cost regional carriers (like AirAsia). The airports are linked by a free shuttle service. Check either airport’s website for schedules and details. You will need to take 2 extra days to arrange tickets and for travel time by either bus or plane. Taking either the train or bus are cheaper alternatives to flying from Bangkok and Kuala Lumpur to Koh Phangan. 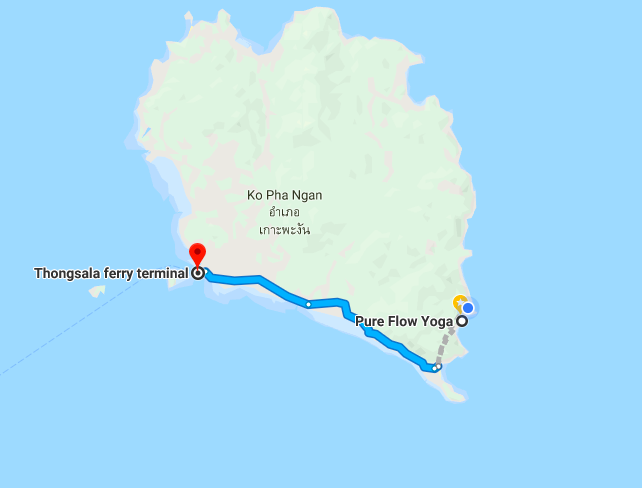 To get from Bangkok to Koh Phangan you can go by bus or train from Bangkok to Surat Thani, and then from Surat Thani you would take a ferry to Koh Phangan. The bus or train from Bangkok to Surat Thani involves a very long overnight journey, followed by a morning ferry from Surat Thani to Koh Phangan. 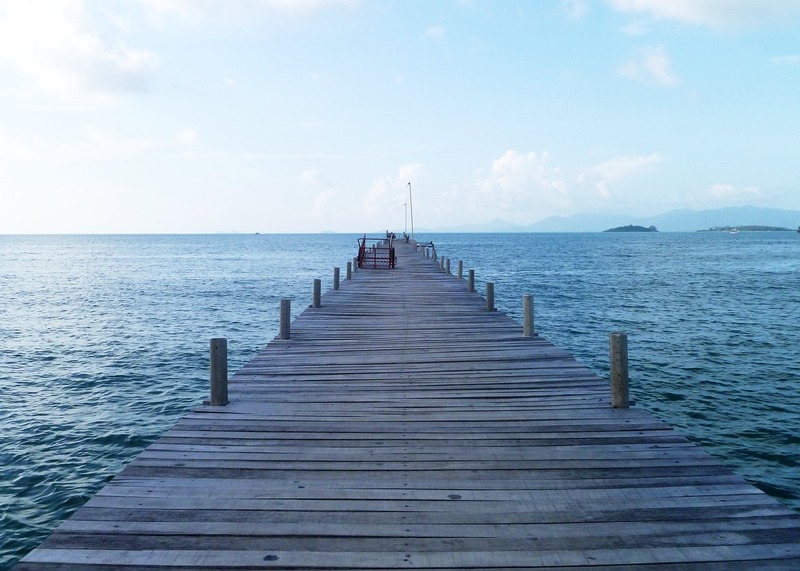 Many people take this trip every day, as Koh Phangan is a popular destination. 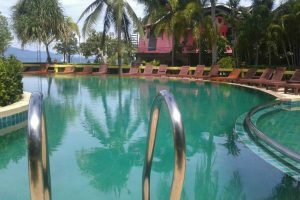 You can easily book this journey at any travel agency in Bangkok, for example on Kao San Road, or in Kuala Lumpur by simply asking to go straight to Koh Phangan. The travel agents will arrange every step of the way- you will even be picked up directly from your hotel if you wish. From Phuket to Koh Phagnan is a 7 hour bus journey costing 700 baht from the Phuket bus terminal, located on Thepkasattri Road between Mission Hospital and Supercheap shop. Firefly airlines flies from Subang airport in Kuala Lumpur to Koh Samui, Mondays, Wedneday, Fridays and Sundays, departing at 1:35PM arriving 2:35 PM of the same day. 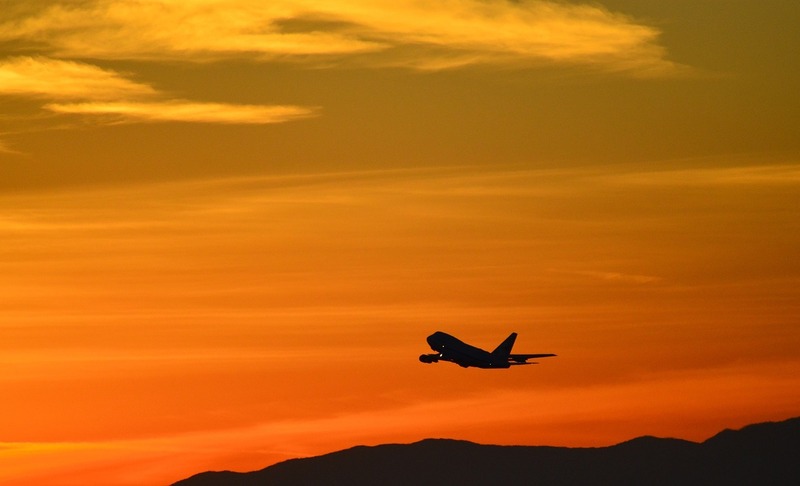 Flights typically cost around $150 USD one way. Here’s a few Pure Flow Picks for where to stay En Route.